Point2 Homes gives you far more than a simple list of houses for sale. Get instant access to a lot of relevant information about Chilliwack, BC real estate, including property descriptions, virtual tours, maps and photos. The search results pages also have a wealth of information on Chilliwack, BC, if you scroll all the way down. There are houses for sale in Chilliwack, BC. Searching homes for sale in Chilliwack, BC has never been more convenient. 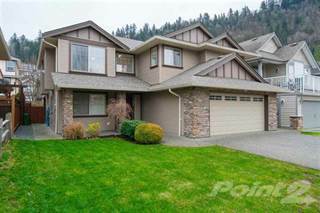 With Point2 Homes, you can easily browse through Chilliwack, BC single family homes for sale, townhomes, condos and commercial properties, and quickly get a general perspective of the real estate prices. Also, you’ll never miss a bargain if you filter listings based on house price drops in the past six months. Use the map view to find Chilliwack, BC homes and apartments for sale, based on amenities or city features that you may want close by. You can close in on a specific neighbourhood or area by simply drawing around them with the polygon or radius tools. Stay informed about the latest entries on the real estate market by saving your searches. This way, you get new listings in your inbox, daily or every week, based on your preferences. If you’d like to get in touch with a professional, agents are displayed next to their listings, and they’re easy to contact through the online forms. 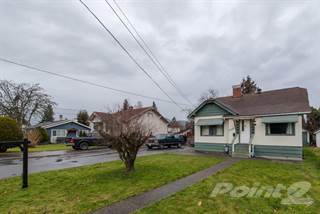 If you want more options, you can click the Tools tab and Find an Agent, and you’ll get a list of helpful and knowledgeable real estate agents in Chilliwack, BC. Visit the Point2 Homes blog and you can find up to date expert advice on many markets throughout Canada, regular market reports, neighbourhood scoops in cities throughout the provinces, real estate deals and useful recommendations. Chilliwack, located in British Columbia, is the second largest city in the Fraser Valley and sits around 102km southeast of Vancouver. The city has approximately 80,000 people, and the community is billed as “The Great Outside” due to the abundance of outdoor activities. Chilliwack spans an area of around 261 sq. kilometres. Chilliwack is very much an agricultural city with over 900 farms, and food processing, farming, and lumber remain the dominant industries. 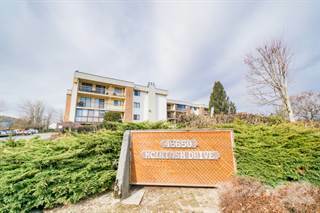 Nearby cities include Abbotsford, Mission, Harrison Hot Springs, and Hope. North of Chilliwack lies the Fraser River, where fishing and nature tours are a popular activity, and the city is surrounded by peaks such as Mount Cheam and Slesse Mountain. The city is served by the Trans-Canada Highway which runs to Vancouver, and through to Hope. The climate in Chilliwack is relatively mild, which provides excellent growing conditions for crops. Temperatures generally drop to around 1°C in winter, and average around 18°C in the summer. Most of the rainfall occurs in the winter months, and Chilliwack is known to have one of the warmest spring seasons in Canada. Architecture in Chilliwack indicates that settlers were present in the area 5,000 years ago. It was a popular goldmining area in the mid-1850s, and many settlers arrived during the Fraser Valley Gold Rush. Although this came to a close, agriculture remained strong and it still forms the foundation of Chilliwack’s economy today. Popular activities in Chilliwack include horseback riding, hiking, camping, freshwater fishing, and golfing, and the area is graced with stunning mountain views. Chilliwack’s historic downtown core is also a popular area, which has a selection of shops and stylish restaurants. Chilliwack also has an emerging arts scene, and is home to institutions such as the Chilliwack Arts Centre, the Chilliwack Academy of Music, and the Chilliwack Symphony Orchestra. The tourism industry in Chilliwack largely centres on its outdoor recreational activities. Popular recreational areas include Cultus Lake, Chilliwack Heritage Park, Bridal Falls, and Chilliwack Lake Provincial Parks. Chilliwack offers diverse and stunning landscapes, and beautiful views of the Cascade Mountains. It’s also home to an abundance of wildlife, including salmon, bears, and birds. Also referred to as “Chilliwack Proper”, Downtown is the historical core of Chilliwack and has a number of key attractions. The Downtown area is in the process of development and revitalisation, and greening activities and more entertainment facilities are planned for the future. Rosedale is a small community in a rural-suburban setting that’s set alongside the Fraser River. Its nearby hills are popular for skiing and snowboarding in winter, and hiking and white-water rafting in summer. Rosedale has a new elementary/middle school, and real estate is generally made up of single-family homes. Aside from being a popular recreational area surrounded by mountains and provincial park area, Cultus Lake is a lovely community and has a number of large lots and farms. The area has one school with approximately 150 students. With a population of around 3,000 people, Yarrow Ecovillage is an eco-friendly community designed to achieve a more sustainable way of life. The area features an organic farm, a multi cohousing community, and mixed-use developments. Chilliwack is a great area for real estate in terms of return on investment and capital growth. The area is on the verge of population growth, and offers affordable housing and property tax rates, along with a beautiful setting. The Port Mann Bridge and Golden Ears Bridge have brought Chilliwack closer to other communities, such as Langley, Surrey, and Vancouver, which has increased employment opportunities and made commuting much easier. The median house price in Chilliwack hit $445,000 in June 2016, which was an increase from the previous year. This growth is largely led by people moving from Vancouver in search of more affordable housing. Chilliwack is a great community to live in, and housing options include low-rise apartments, single-family homes, and homes with larger plots of land. Chilliwack has a number of public elementary and secondary schools, most of which are located in built-up areas including Vedder Crossing and Sardis. There are also 8 private schools in the area. Post-secondary institutions such as the University of the Fraser Valley, the Justice Institute of British Columbia, and the RCMP Pacific Regional Training Centre is also located in Chilliwack.